B-Dazzle of Genesis was born March 21, 2011. ‘Dazzle’ is sired by the Holland imported, AHR Silver Classified Stallion, Windstar Van de Ooste. Windstar’s sire, Windspiel, was a former Dutch Selection Champion and an Austrian import into Holland. He stands at 62” tall. Windstar’s dam, Maira van de Wortel, is from one of the most premier mare lines in Holland. Her dam, Mira van de Wortel, was a former Dutch National Champion. Maira’s sire, Amsterdam was a former World Reserve Champion. Windstar was the 2011 AHR draft ‘Stallion of the Year’. Dazzle’s dam is the AHR silver classified 79-point mare, By Design of Genesis. By Design of Genesis is sired by the only AHR ‘SUPREME Status’ stallion in the country, Arno van het Nieshof, and out of our very own 79-point AHR Silver classified mare and former AHR ‘National Champion Mare’ and ‘National Best of Show’, Belle vande Haflinger Hoev. Dazzle’s dam has won her fair share of awards and titles in the show ring. As a weanling at the AHR Futurity, she was the draft ‘Reserve Junior Champion Weanling’ and was the draft SIP ‘Champion’. As a yearling, she was the AHR Futurity draft ‘Champion Yearling’. Then, as a 2-year-old, she was the AHR Futurity pleasure ‘Champion 2-year-old’. In between attending the Futurities, she was a consistent winner at the different show venues she was campaigned at and she ultimately was AHR Silver Classified in 2009 with 79 points. This mare now has a dressage performance career and is doing very well. She was sold into her working career home with the intention that her unborn 2011 foal, B-Dazzle of Genesis, would return to Genesis Farm upon weaning. Dazzle is a prime example of modern Dutch breeding right here in the United States as her sire and both of her maternal grandparents—Arno van het Hieshof and Belle vande Haflinger Hoev—were imported from Holland, making her bloodlines of particular value here in our country. Dazzle made her show ring debut at the 2011 AHR Futurity and she promptly followed the winning legacy of her parents and grandparents. Dazzle was the 1st place draft ‘Senior Weanling Filly’. She went on to be named draft ‘Senior Champion’. The quality of the genetics behind Dazzle was even more evident in that her ¾ brother, Worthington of Genesis , who was also sired by Windstar but out of Dazzle’s grandma, Belle, was the draft 1st place ‘Senior Weanling Colt’ and went on to stand next to Dazzle to win the title of draft ‘Reserve Senior Champion’! Dazzle competed in the draft SIP class to represent Windstar and Genesis Farm. In that class, she was named as the draft SIP ‘Reserve Champion’ and her ¾ brother, Worthington of Genesis, was named the draft SIP ‘Champion’. Together these dueling epitomes of Windstar’s breeding earned Windstar the title of 2011 Draft SIP ‘Stallion of the Year’. 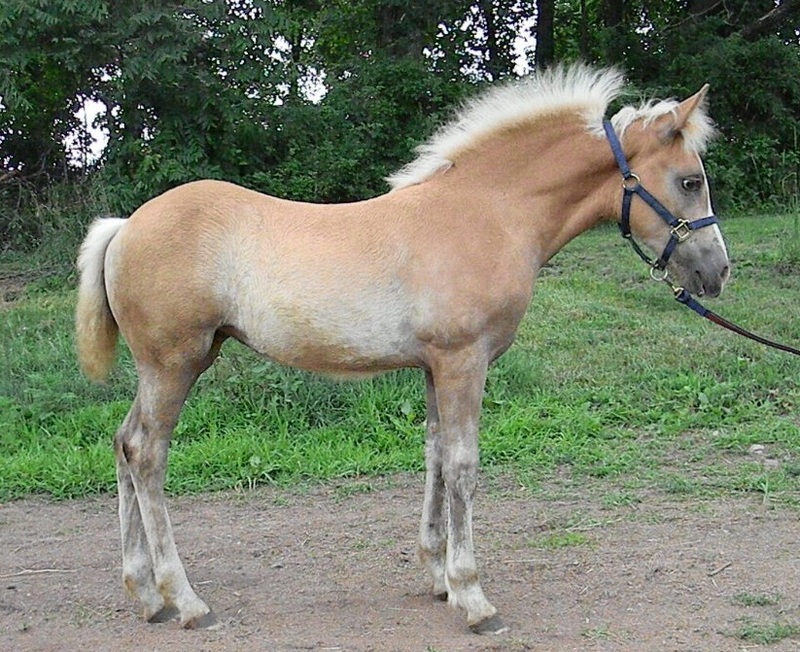 Dazzle is an extremely correct and balanced filly with ultra clean and dry bones. She has very straight and correct movement with great power from behind. Dazzle has the sweetest personality, loves people, has never met a stranger and takes everything in stride. We anticipate that she will become the ultimate family performance horse!